When adding more portage capacity to your frame or fork is the name of the game, the winning solution is our Burra Burra Stuffcage. 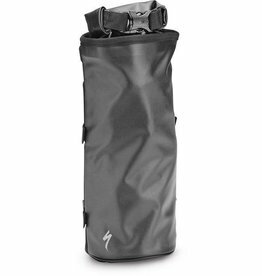 It's an ideal way to carry our Stuffpack canister, water bottles, or a decent sized fuel canister. So think of it this way: When there's no more room, there's always the Stuffcage. Oversized tubular aluminum increases overall strength and durability for a long lifespan and ample load capability. 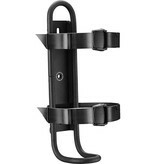 Two coated webbing straps and camlocks are included to provide secure, reliable attachment. 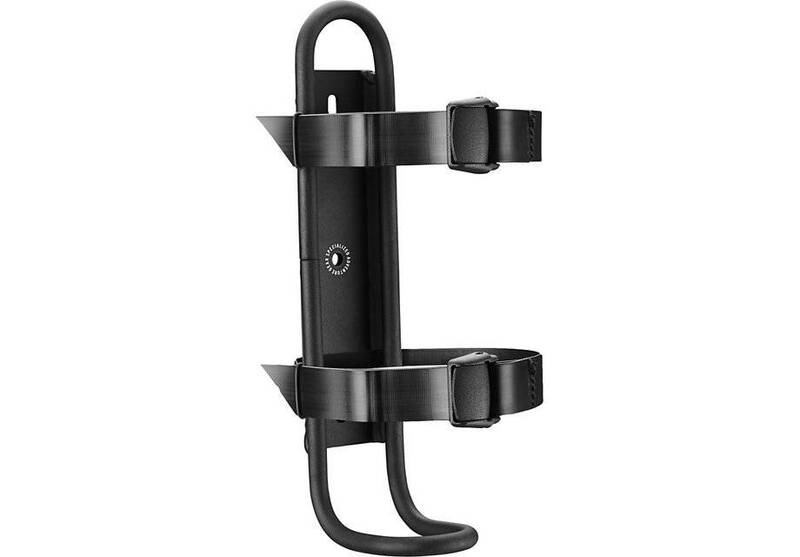 Compatible with standard water bottle mounts or a fork designed to accept 63mm bottle mounts. Matte black anodized finish is sleek and works well with any other color.